Pavement service life can be maximized by applying periodic asphalt-based treatments collectively known as pavement preventive maintenance. The key to prolonging pavement life is applying the correct type of preventive maintenance treatment at the right time. These maintenance treatments prolong the life of the pavement by protecting it from mechanical wear, water infiltration, and exposure to sun and air. When done right, roads last years longer lowering life cycle costs while providing motorists with a better quality roadway and fewer user delays. Challenges exist for wider adoption of pavement preventive maintenance techniques. Poor-performing applications that fail prematurely often cause agencies to eliminate or reduce the number of and frequency with which maintenance techniques are utilized. Improving technique performance is an important industry initiative. 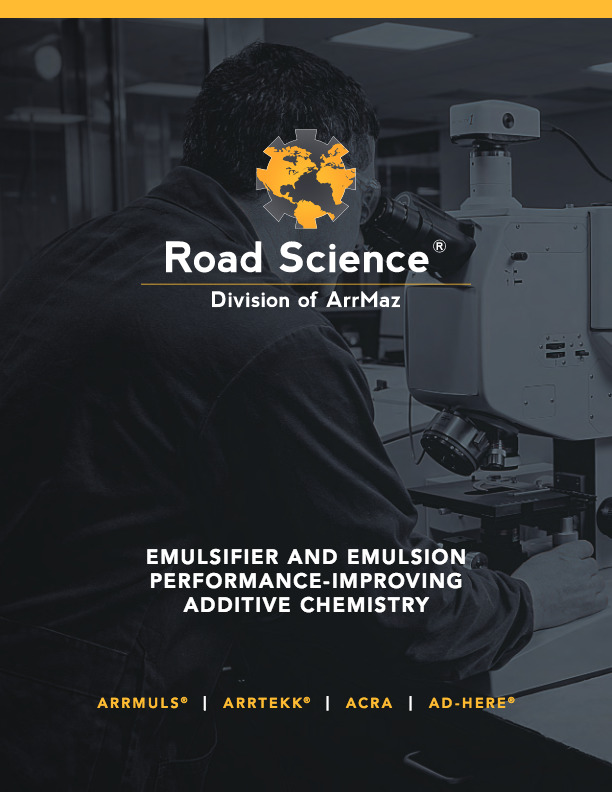 Road Science leads the industry in developing innovative emulsifier and additive chemistries and paving technologies focused on raising the performance bar for pavement preventative maintenance. Specifically, our chemistries add durability to chip seal and micro-surfacing applications that can extend application life by 30% or more. We have also pioneered innovative chip seal, micro-surfacing and thin-lift application techniques that extend application life beyond several years.